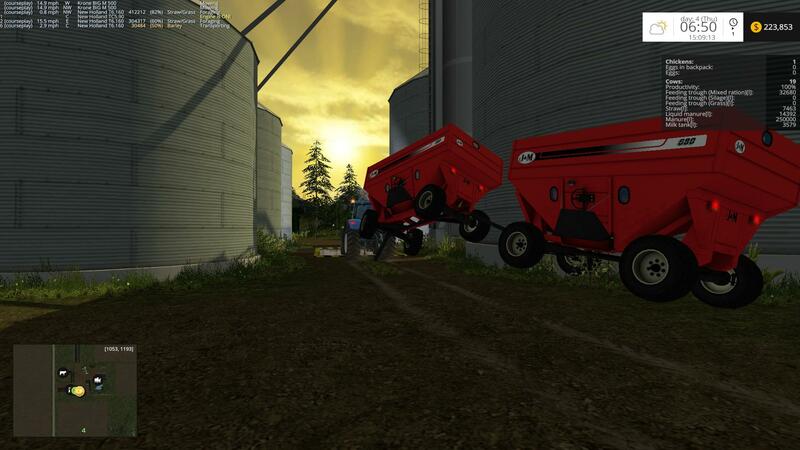 Hey Reaper, the gravity wagons have a lower capacity now, but still show 30,000 liters in the store. Is that meant to be that way? Also great job on the fix, have not had any problem with the new version and the previous issue. Thanks again. Hey Reaper I have run into this a few times. If you turn just right, you get all bound up like this. Just thought you would want to know. Thanks again for the mod. Hi Reaper, I am experiencing the same issue of "floating wagons", I had a pair pulled by Maxxum 140 2wd from this site. It happens on the Canada map V3 w/soilmod right between the silo's on the unload ramp, the set up is identical to the second picture posted by corn king. 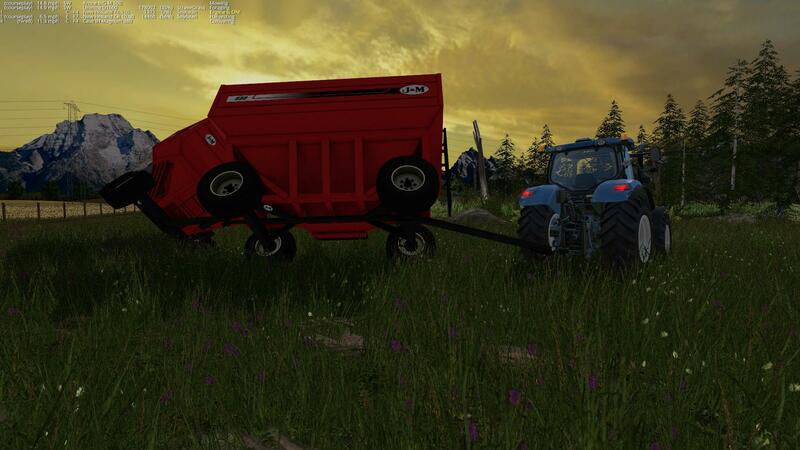 I had a full load of corn and as I started to unload the first unit closest to the tractor it started to levitate, as I emply the second one, the same happened to it pulling the tractor off the ground, I had to abort the game before loosing my tractor into space :-) I really like this mod and hope some one can figure out why its happening. Did you downloaded the latest version? I have yet to have it happen with the new version myself.